One of the funniest match-3 games ever! It will provide you with a humorous and challenging time. 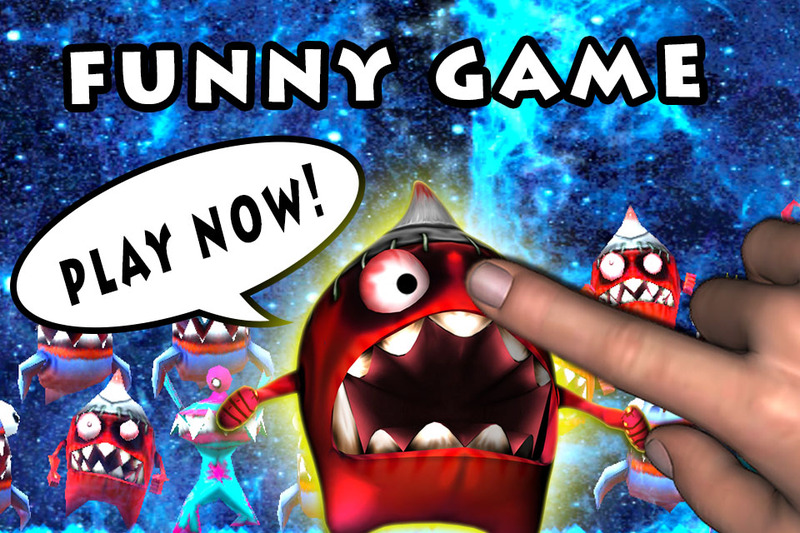 By playing this game you will find yourself in a virtual universe, surrounded by some freaking cartoon monsters that are literally invading every free space they find, bringing everything out of order. Your task will be to try and prevent them from invading other places. Stop them from crossing the light borders before the time runs out and they start the invasion of another galaxy. 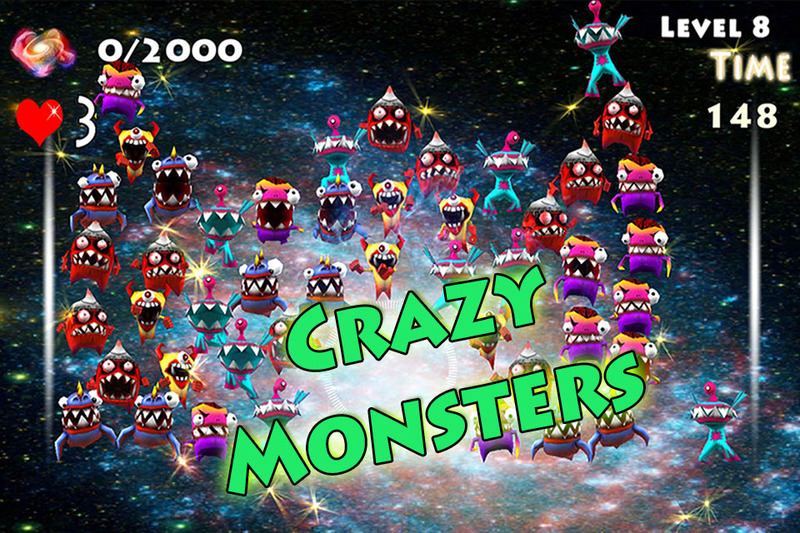 Simply tap your finger on any matching monster to make them explode and free the space occupied before. If you are not quick enough they could cross the glowing borders making you lose your mission. If more than three monsters are crossing the borders you lose the battle. 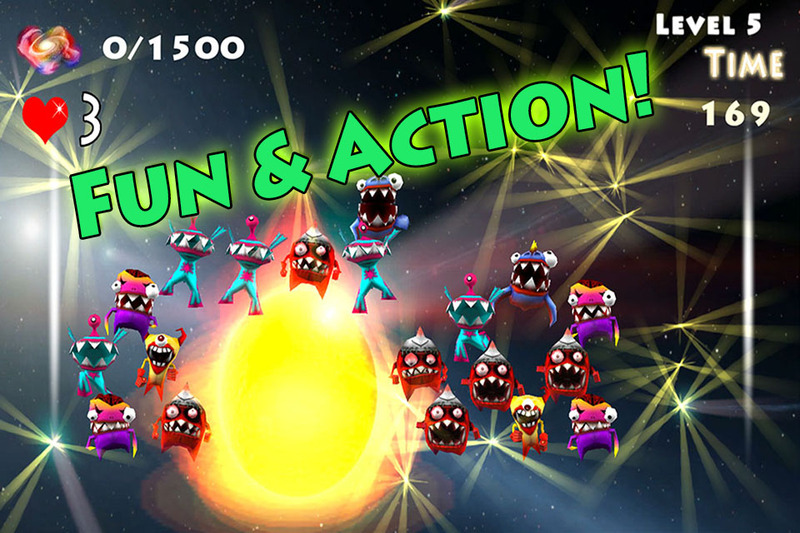 Every right match will burst those little monsters away in fascinating rays and great blasts. As you get on with the levels you will encounter new shiny objects that will make your life harder, as they are going to restrict the living space of the monsters forcing them to climb over the line. Useful advice: You need to match at least 3 monsters to get points, if you touch just 2 of them they will disappear and empty the space they occupied before, but without giving you any points. Warning: If you touch in a place where no matching monsters are, you will lose 50 points. 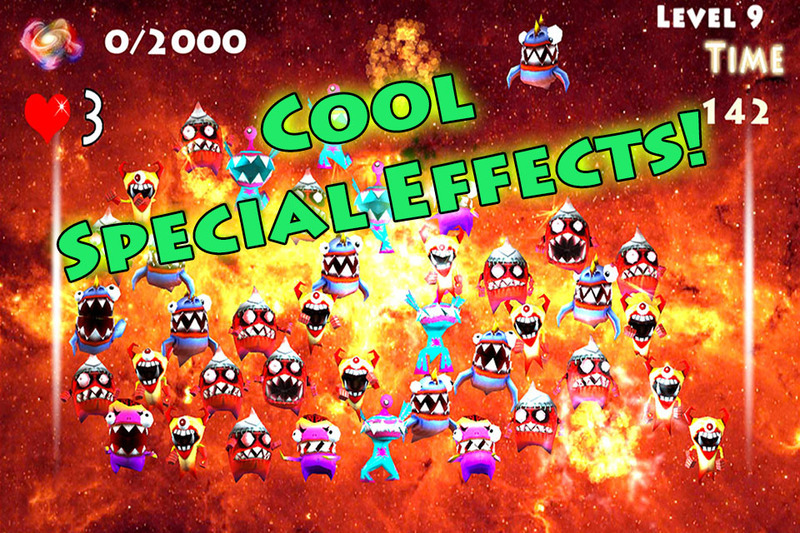 You will find yourself hopelessly addicted to this colorful crazy freaks and the blasting special effects. This deluxe game is a real jewel among the match 3 games.